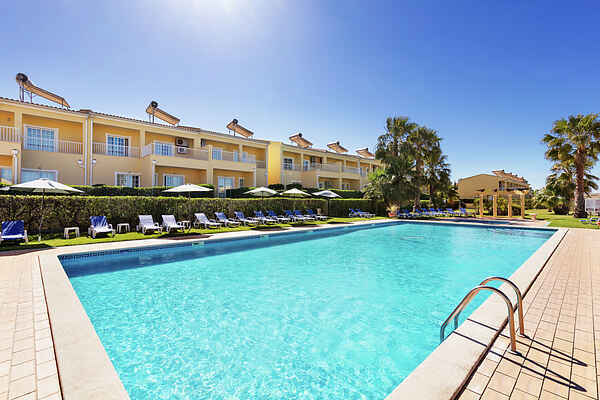 The Ferias apartments are located within a protected area and rest in the village of Pera near the lively resort of Armacao de Pera, just a 5 minute bike ride to the spectacular Praia Grande beach in the holiday paradise of the Algarve. Local fruit market Pera is a 5 minute walk. Armacao de Pera fishing village is just 2 minutes away and has some of the best restaurants and nightlife of the Algarve. Albufeira and Portimao are only 10 and 15 minutes. Facilities include reception, laundry, food, drink and entertainment, local bar, tennis court, playground, games room. This cottage is perfectly positioned for visiting the historic city of Silves with its castle. At a distance of 3 km you have three golf courses to choose from. In case you need to check in after Reception closes, please inform us on the day before.